Much of the first incarnation of the Underground, like that of Doctor Who, was enthusiastically wiped from existence by subsequent generations of management bigwigs. In both cases, I’m not especially sorry. Those traces that survive of either institution reveal a rather overbearing, eccentric style that’s also massively fusty and profoundly inelegant. Only the stuff that lurked slightly out-of-sight was really that good. Fortunately, unlike Doctor Who, bits of the first incarnation of the Underground don’t keep turning up in someone’s attic or in Zimbabwe. 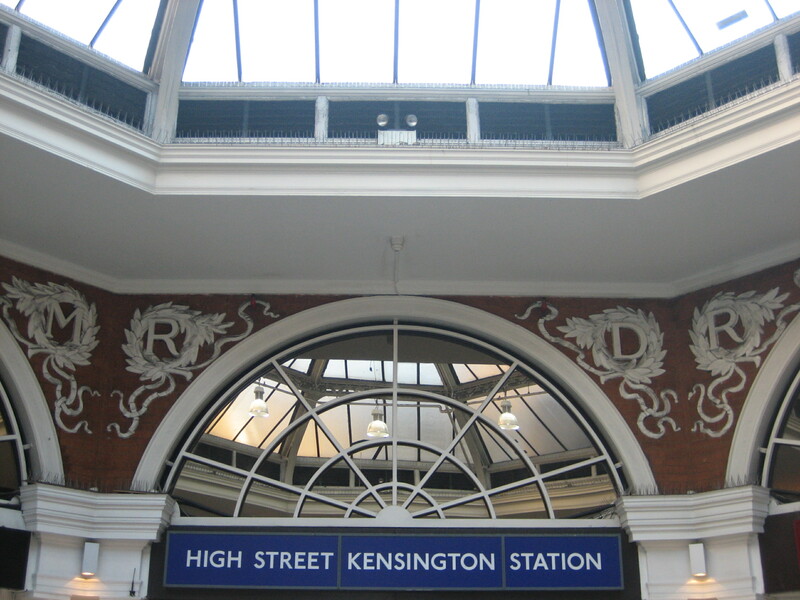 High Street Kensington was first thrown up in 1868 as an enormous pile of pretension. 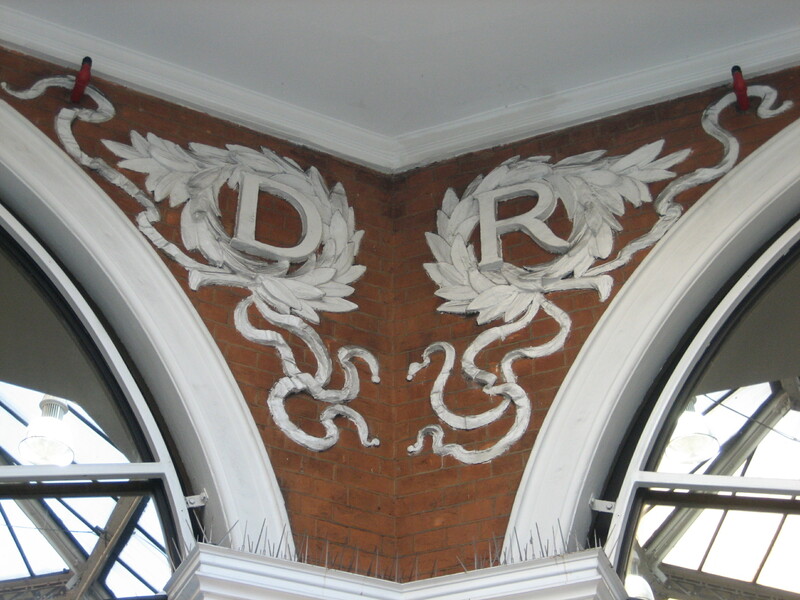 Victorian railway architecture can be maddeningly inconsistent. How could they get the likes of King’s Cross and St Pancras so right, but something like this so wrong? Anything like this, with the right dosage of peculiarity and charm to catch people’s eye and make them stop and stare, is a good thing. 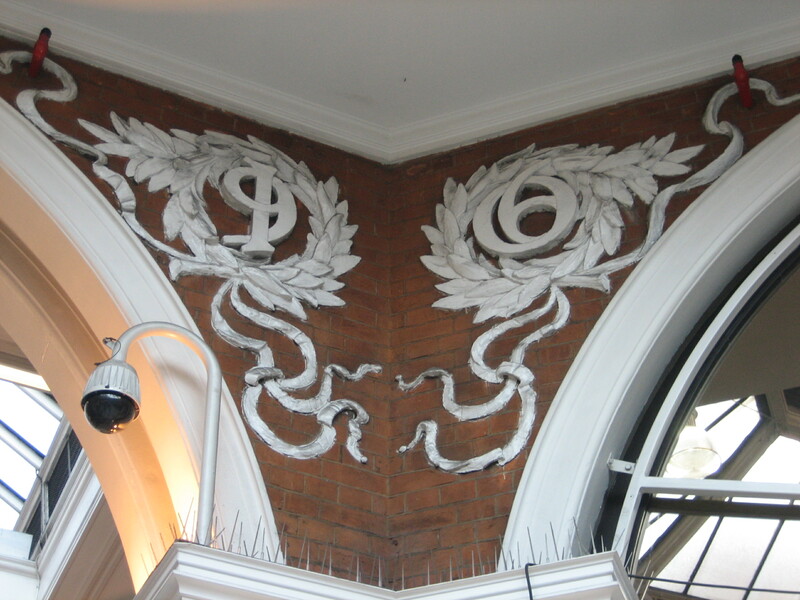 The motifs add a bit of substance to the otherwise wispy atmosphere of the arcade. 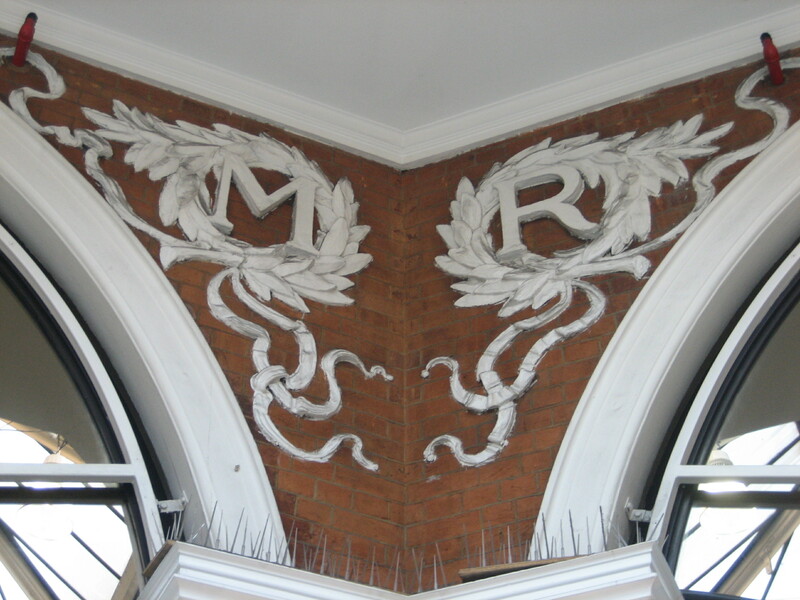 If even one person has cause to ponder for a moment on the meaning of MR, DR or the significance of 1906, a job of work has been done. As for the station looking bigger on the inside than the outside… hasn’t the Underground always had plenty of time for relative dimensions in space? Like the guy said on the previous one, I hope there is a book deal in prospect. Meanwhile, a plea for ideas. I’m coming back to the UK for a holiday in May and I will have a day or two to indulge my Underground/History/Architecture interests. Anyone know of a good book or website that will give me some ideas/a theme/a new angle/a game to play/a bit more substance than just riding around aimlessly feeling nostalgic? I’m a bit more Metroland than Arnos Grove, but I really enjoy the millenium stations too.